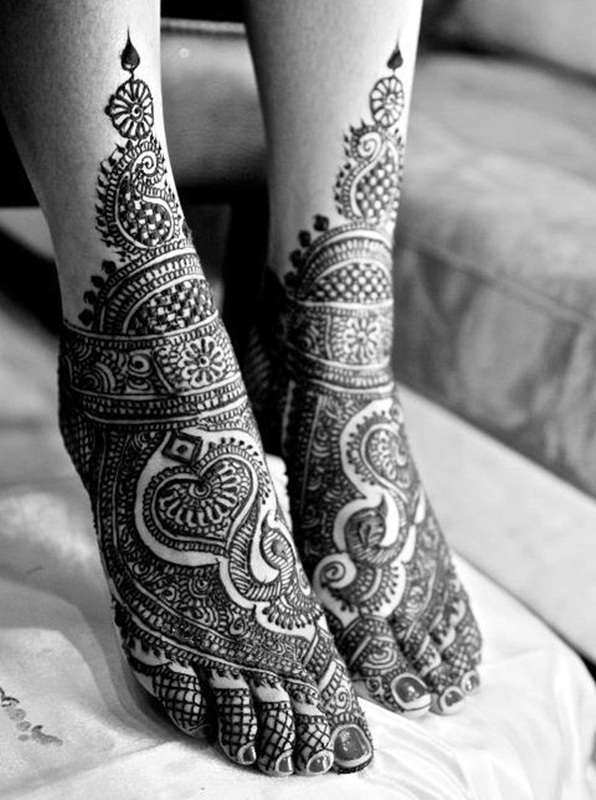 Mehandi is one of the integral and inseparable components of the Indian tradition. Not just in India but in other countries like Pakistan and Middle Asian countries, it is given the same stature. While some use it as a tattoo design to flaunt it others use it because they have a cultural value attached to it. There are many festivals in India and other countries which are just incomplete without the Mehandi. One such occasion in India is marriage. 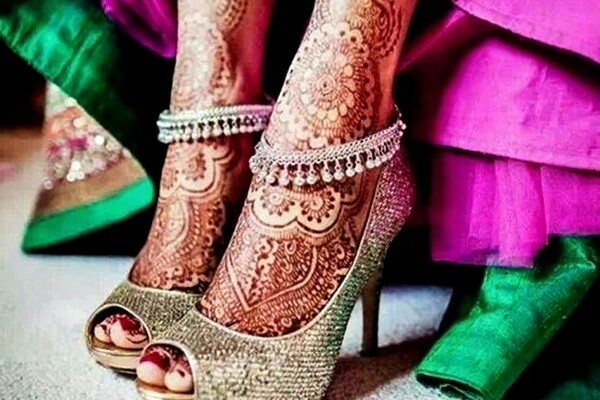 It does not matter which part of the country you are living in, it is almost inevitable for the bride to escape from Mehandi. But yet there are some cultures where even the bride groom is also supposed to wear Mehandi on the hands. Marriage is one very important occasion and everybody wants to be perfect on that day. 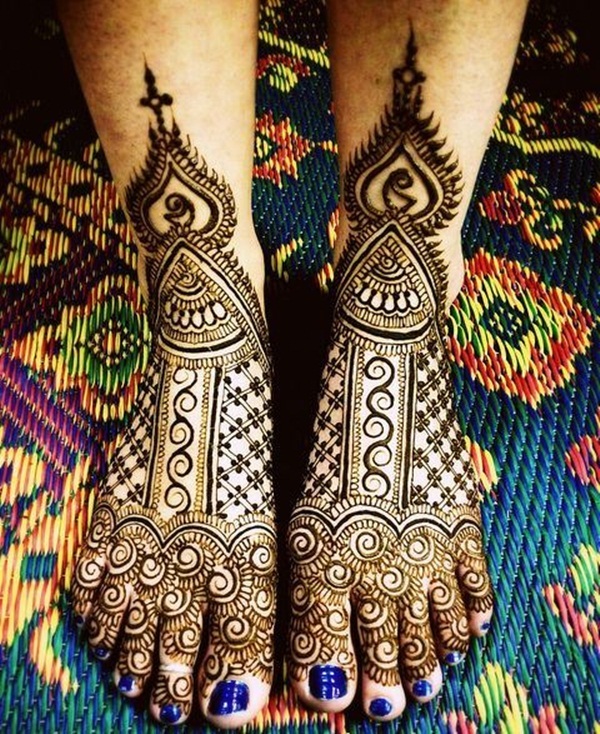 We often pay a lot of attention on the design of Mehandi on the hands, but ignore the design on the legs. 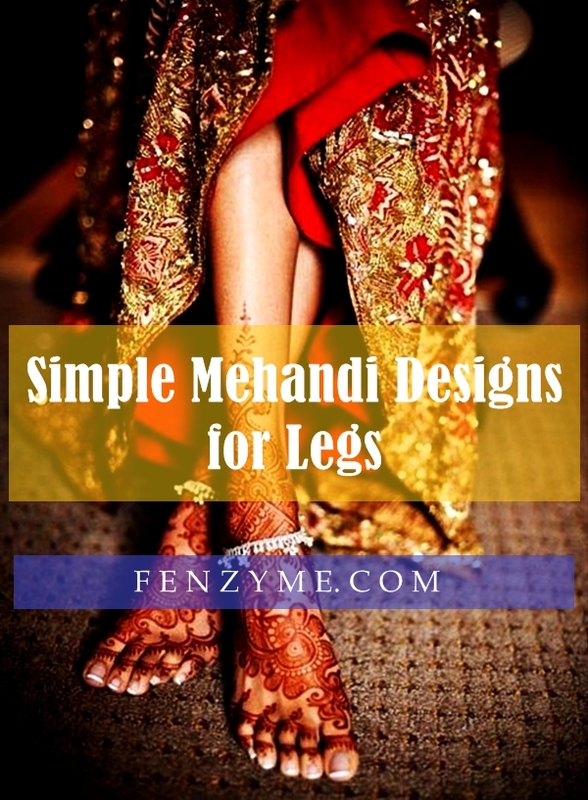 Mehandi can look gorgeous on legs with some very simple Mehandi designs for legs. Choose the appropriate Mehandi artist who is perfect in the kind of design you want. You can check the work he is doing before hiring him for the big day. Decide your dress and jewelry first and then decide the Mehandi design accordingly. There are various designs and different styles like the Arabic style that best complements your dress and jewelry in color and design. People have different sizes and contours for legs, so choose a design that is appropriate for the size of your leg and feet. Some designs look good on long and thin legs whereas some look good on short and stout legs and feet. Decide the best one for yourself. But Before everything, you must know how to apply mehandi to take out the best from it. 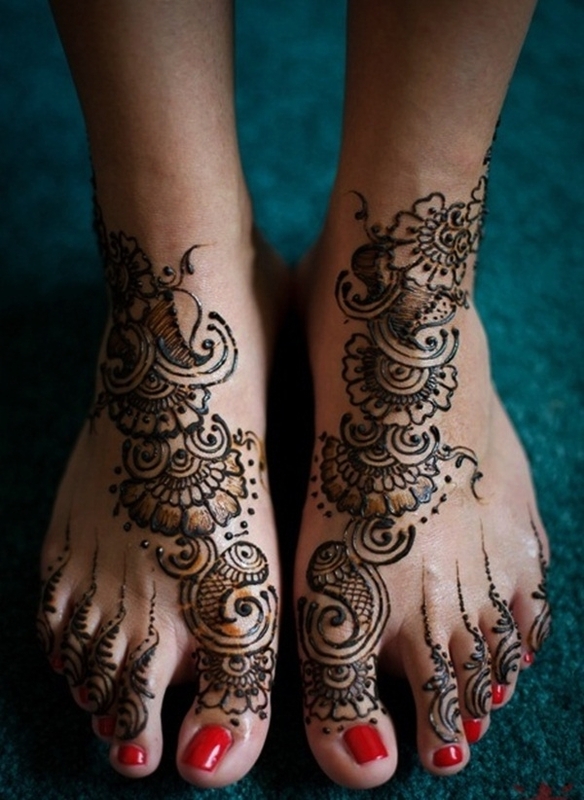 You must check our some simple but effective tips to apply mehandi. It is a very simple design to make and suits almost all types of legs and feet. This defines the shape of the design. It makes the design look uniform and well done. Leaf motif is the most common design for most of the lehengas and sarees, so it will inevitably complement the dress. This is also one of the most common Mehandi design. 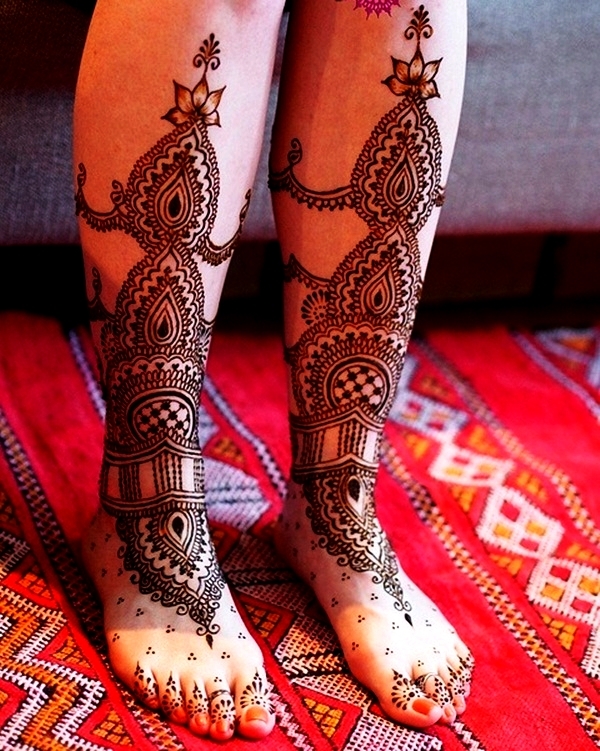 This motif can be used both in hands and legs and thus will create uniformity in the Mehandi design all along. It can be coupled with some of the very intricate designs and patterns and really look beautiful. They are ideal for the space on the fingers of both hands and legs and a real test of the artist’s perfection. This pattern and design has been used in the Mehandi since the time we have started the tradition of Mehandi in Indian culture. 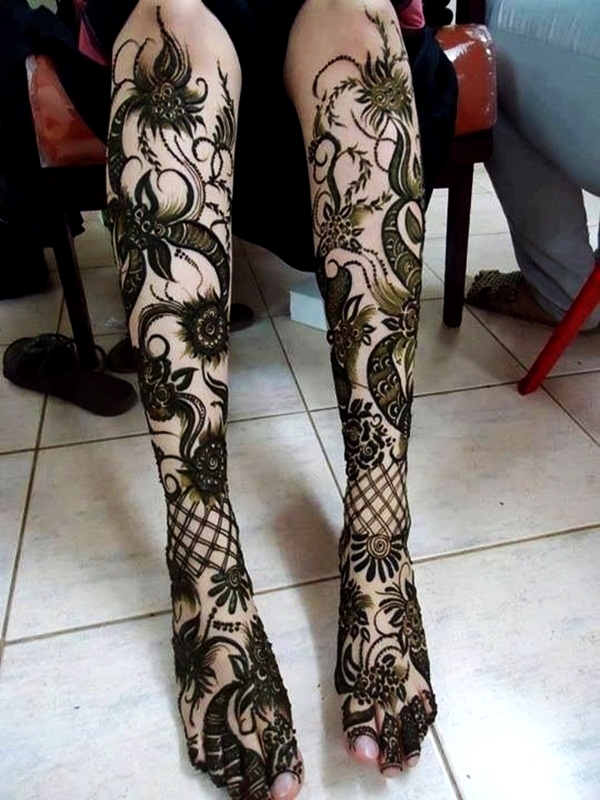 The design looks really beautiful on both the hands and legs. This can also be coupled with other Mehandi design to make it more full and intricate, and thus giving it a very rich look and appeal. You can also accentuate the design even more, by decorating the design with blue sparkles. It can made in a simple pattern or an Arabic pattern. 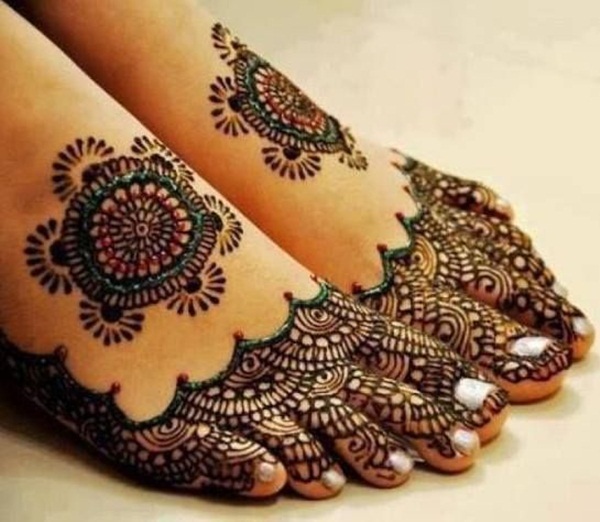 More than a design it is a pattern of applying Mehandi on both hands and legs. It has gained popularity in the past few years only. Only few artists are adept in this style. This is the most preferred design by most of the brides for their marriage.